Fans of the HBO series have been clamoring for more stories set in the "Deadwood" world ever since the series ended in 2006. 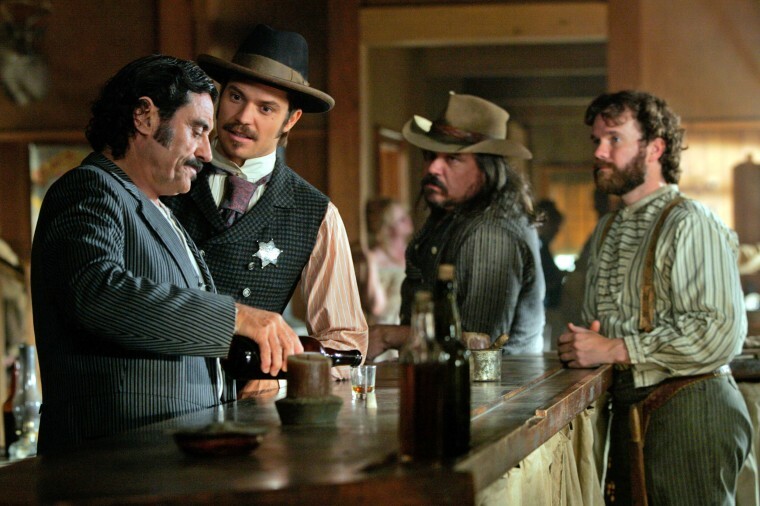 LOS ANGELES — HBO is officially moving forward with the "Deadwood" movie. The announcement was made by HBO programming president Casey Bloys at the TCA summer press tour on Wednesday. "All of these people worked hard to get this together," Bloys said. "It's been a logistics nightmare getting all the cast members' schedules together, but we are there. It is greenlit." Bloys also said the movie is currently scheduled to begin shooting in October for a spring 2019 air date, but added that the date is not "set in stone." Noah Berlatsky: Hollywood needs more movies like "Downton Abbey," less like "The Mummy"
"I wanted a script that would stand on its own ... I'm happy to say that David totally delivered on that. It's a terrific script," Bloys said at the time. Fans of the HBO series have been clamoring for more stories set in the "Deadwood" world ever since the series ended in 2006. The drama ran for three seasons and 36 episodes, with many critics regarding it as one of the best television series of all time. The show picked up 28 Emmy Award nominations during its run, ultimately winning eight. The show took place in the 1870s in Deadwood, S.D., and charted the titular community's growth from a camp to a town. The large ensemble cast included actors Ian McShane, Timothy Olyphant, Molly Parker, and John Hawkes.